If you’ve never heard of ‘natural wine’ before, you’ll be forgiven. It’s one of those oft fought over cultural components of the wine world that encourages the sort of chatter that makes casual passers-by tune out almost instantly. If you are familiar with natural wine, perhaps I owe you an apology, because I’m about to contribute to the litany of natural wine praise that so predictably encourages the arguments against it. Frankly, I don’t care to explain the arguments for or against it, nor do I intend to parse its definition into what is, on the one hand, a descriptive term for wine made with a philosophy of minimal intervention, and, on the other hand, a cultural banner for winemakers of extremely disparate styles and quality, sometimes not even flown by those producers whose wines would be considered among natural wines’ most classic representations. What I want to do is shine a spotlight on a handful of natural producers whose wines I truly love, the importers who provide us with them, and the shops where you can find them. Tracing them back to their importers will often provide you with a list of many other bottles to enjoy in the future. Regardless of your philosophy, these wines deserve a spot on your table. 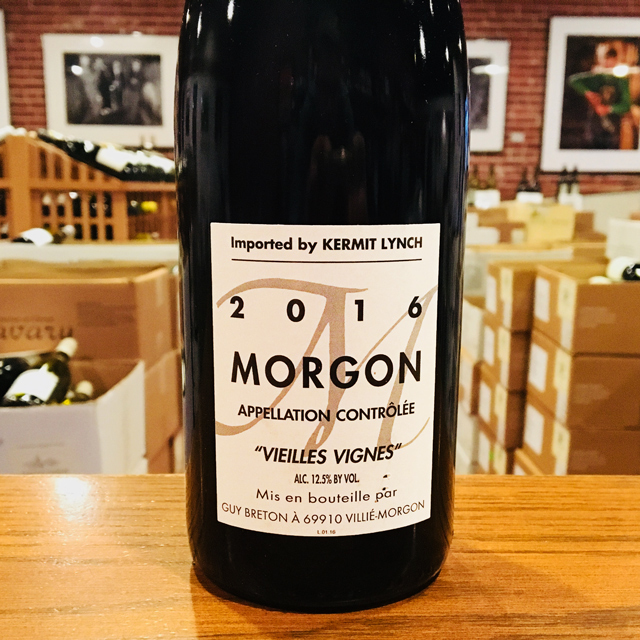 One of the ‘gang of four’ producers of Beaujolais, so dubbed by famous wine importer Kermit Lynch to describe four vignerons whose natural methods of making wine radically changed the path of a region falling into industrialization. Beaujolais is now proud to boast some of the best natural producers in the world, with a deep history inspired by native négociant Jules Chauvet (whose impact can still be felt in the wines of the greatest producers all across France). Potpourri, juicy red cherry and cinnamon. A simmering pot of water and lavender. Guy Breton’s wines all have a characteristically etherial stamp, as though they prefer to tip-toe everywhere they go. Find yourself a quiet room to enjoy this. This wine is a mosaic of mini-successes, born out of one enormous tragedy. in 2017, hail ravaged Elisabetta’s vineyards in Trentino, Italy, causing significant damage to her crop and placing almost 50% of her native Teroldego grapes at risk of being wasted. Instead, she harvested them, and used the opportunity to run a handful of experiments while turning them into wine. Some were aged in concrete, some in amphora; some in barriques, some in clay. In the end, the most successful trials were blended together, a mixture of unusually short macerations leading to either a lightly tannic rosé wine or a pale and juicy red wine, depending on your perspective. What is clear is that the final product is delicious in a no-nonsense, please-dont-overthink-it sort of way. Light fragrant charcuterie wine, the sort of bottle you want to open with an audible “pop!” Elisabetta is one of Italy’s most treasured producers, and this bottle is an insight into what sort of emotional and creative flexibility it takes to earn that title. Buy at: Sold out, for now. For almost 20 years, two names dominated nearly all conversations about extreme quality in Chablis: Vincent Dauvissat and Francois Raveneau. With both receiving their just rewards, now priced well outside the comfort zone of many (if you are even lucky to find them), a new generation of producers is emerging, influenced by a compelling mix of Chablis tradition and naturally inspired viticulture & winemaking. I’ll leave the details of his process unexplained for now, as I’m visiting the winemaker, Thomas Pico, in two weeks, and intend to give more faithful description of his style after the fact. But, the wine. Erring on hyperbole, I literally buy anything he makes. When his 2014’s were released last year, we bought all we could afford and glass poured them until we regretted running out. When hail wiped out all his grapes in 2016 and he was forced to buy organic grapes from an entirely new region to survive, we bought all we could afford and glass poured it until… When these wines were released this year, we bought it all, and you can find it again on our glass pour list. This is 100% chardonnay. This is saline sea spray and fennel. This is the Chablis you read about, and hope to eventually taste one day. I’ve yet to find anything from this region that excites me as much as this. Buy a few bottles, and drink one now to give yourself the pangs of anticipation over the next few years while you wait to open the last few. Wine lists can be headache inducing, not least of which because the distinction between winery, producer, and region can often be tremendously obscure. This wine won’t help with that, but the funny thing about good wine is that its taste is indifferent to how much you know about it. Les Vins Pirouettes is a unique cooperative of natural winemakers in Alsace, France, led by winemaker Christian Binner. Christian works with each grower directly, helping them create their wines and market them to an international audience. 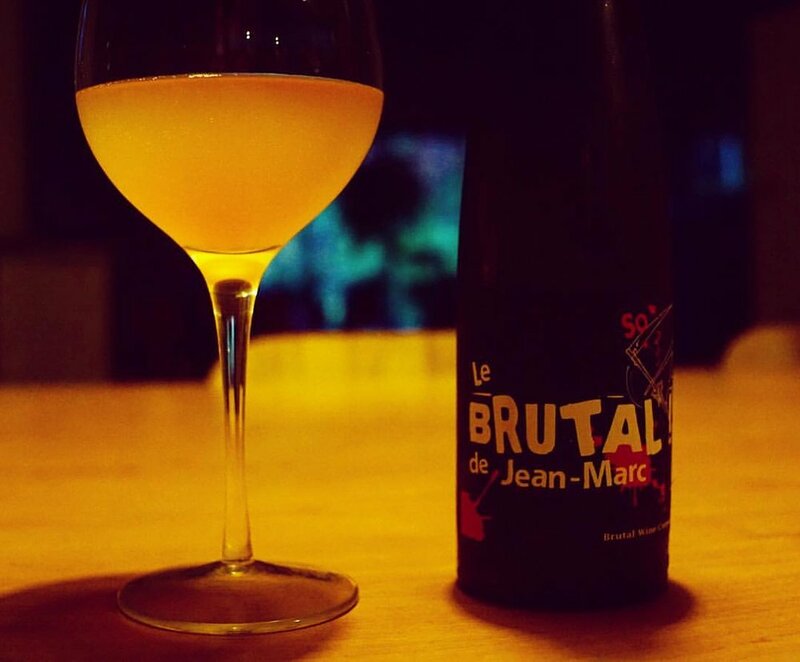 Now, Brutal Wine Co. is another unique cooperative of natural winemakers. It provides an umbrella for producers to create a wine under that is in some way an extreme departure from their normal methods. This provides the freedom to experiment, much like watching a one-off night of free jazz, in quantities that justify its elusiveness. Christian Binner, in collaboration with one of his growers (Jean-Marc), made this wine under the Brutal Wine Co. banner. This wine is iconoclasm. It takes three of the defined ‘noble grapes’ of Alsace (gewurztraminer, riesling, and pinot gris), and blends them. This is while subjecting them to a light period of skin contact, rendering this wine a beautiful orangey hazy hue and imbuing it was a generous dose of savoury sweet aromas like chamomile and acacia honey. This is the natural wine your parents warned you about. The story of Pierre Olivier’s upbringing as a winemaker is exactly what you’d expect in a natural wine industry that relies on the passing down of knowledge and tradition. He quickly transformed himself from a young high-school dropout to the partner of famed Loire winemaker Thierry Puzelat through a few quick years of elbow grease and ambition at Thierry’s winery, Clos du Tue-Boeuf. He now runs the entire operation solo. Notorious P.O.B. Le Telquel may be my favourite wine he makes, and every year the blend slightly oscillates between different quantities of Gamay, Côt (malbec), Pineau D’Aunis and Grolleau. The sum is greater than the parts. Fresh berries and green leaves, smokey tea and dried flowers. Chill it, chill yourself. Bon appétit.